I own a smart 2017 cabriolet and am thinking of having front and rear mud flaps fitted as not having a rear window wash and wipe function on this car, and not advised to try and fit same, I was wondering where to have them fitted, i.e. a Mercedes garage. The reason I'm thinking of having them fitted is my rear screen gets covered very quickly with road debris. Does anyone know that by fitting mud flaps this will cure this problem ? The problem is primarily in the aerodynamics of the car in general. A relatively large and flat rear end of the car will do this on almost any vehicle with a similarly shaped rear end. 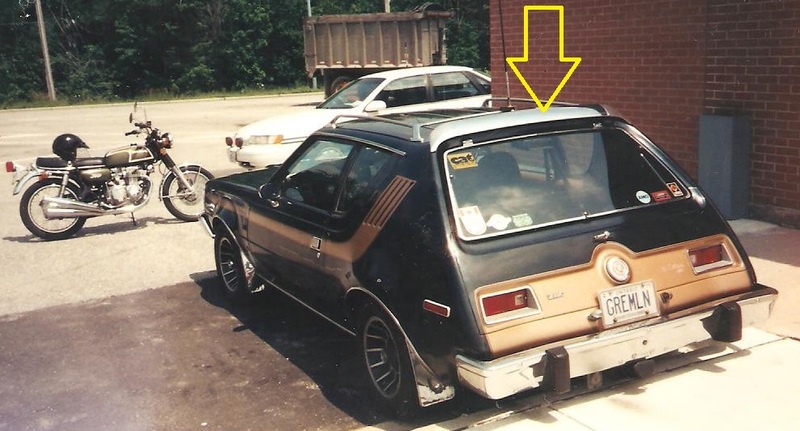 In the 1960's, AMC Gremlins had the same issue and their solution was to install a wind deflector over the rear window and the back of the roof. I had one of those and it worked pretty good. Not perfect, but heads and shoulders over a rear widow without the wind deflector (See photo of deflector on the Gremlin). I'm only guessing at this point, but I don't think mud flaps will help. First new car I ever bought 74 Gremlin. Forty five years ago, man I’m getting old. Thank you Leadwing and Nigel for your comments. As for the wind deflector there is a small one on the back of my Smart, as standard, but I would presume it's not doing much good. As for fitting a bigger one I will look into it. I did however phone my local Mercedes spares department with regard to the mud flaps and they didn't have them in their Smart accessories. So although as was suggested they probably wouldn't work in keeping the rear screen clear I've gone ahead and ordered them from Hongkong, mind you I'll have to wait about a month for them to arrive. Funny thing is they are manufactured in Germany but I couldn't find same on the net ! Anyway I'll post another update once they are fitted and by the way I've ditched the idea of a rear screen wash and wipe as as you have said a bit dodgy to do and expensive to boot.